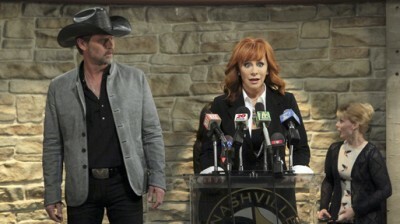 Friday, November 2, 2012 ratings — Season or series premieres: Last Man Standing, Malibu Country, and Undercover Boss. New episodes: Kitchen Nightmares, America’s Next Top Model, Shark Tank, Grimm, CSI: NY, Fringe, Nikita, 20/20, Blue Bloods, and Dateline. Specials: Hurricane Sandy: Coming Together. On ABC, Last Man Standing returned to a 1.9 rating in the 18-49 demographic with 7.8 million total viewers. Compared to the series premiere last year, the show was down by 46% in the demo (vs a 3.5 rating) and down by 40% in viewership (vs. 12.9 million). It was however Last Man Standing’s best performance since March. Malibu Country debuted to a 2.2 demo rating with 8.9 million viewers, building on its lead-in. Compared to Extreme Makeover: Home Edition, which aired in the 8pm timeslot a year ago, ABC was up by 83% in the demo (vs a 1.2 rating) and up by 84% in viewership (vs 4.82 million). At 9pm, Shark Tank was up by 28% week-to-week in the demo with a 2.3 rating and 7.3 million viewers. At 10pm, 20/20 drew a 1.5 rating (up 15%) and 5.4 million. 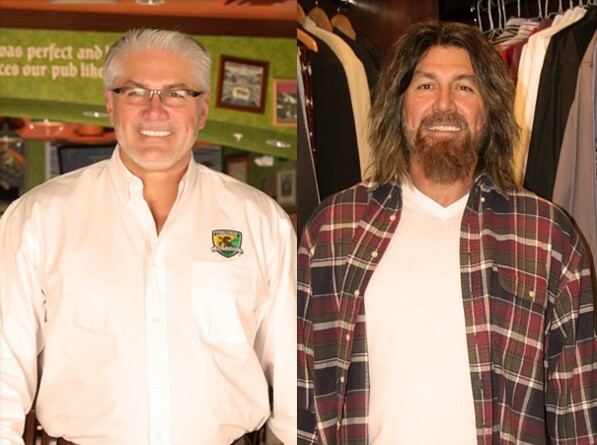 On CBS, the return of Undercover Boss brought a 1.5 demo rating with 8.0 million viewers. Compared to last season’s premiere, the network was down by 50% in the demo (vs a 3.0 rating) and down by 31% in viewership (vs 11.59 million). Still, it matched the second-to-last episode of last season, which aired in May. CSI: NY followed with a 1.5 rating (0% change week-to-week) and 10.0 million viewers. Blue Bloods then drew a 1.3 demo rating (-13%) with 10.9 million. On NBC, the Hurricane Sandy: Coming Together fundraiser (which was simulcast on several cable stations) brought in a 1.5 rating with 6.3 million. Grimm followed with a 1.8 rating (-10% week-to-week) and 5.7 million. At 10pm, Dateline garnered a 1.1 rating (-21%) and 3.8 million. On FOX, Kitchen Nightmares rose a bit, reaching a 1.0 rating (+11%) with 2.9 million. Fringe bumped up as well, attracting a 1.0 rating (+10%) with 2.7 million. And on The CW, America’s Next Top Model was steady with a 0.4 rating and 1.3 million viewers. Nikita then took a huge leap (by CW standards anyway) to a 0.4 rating (+100% week-to-week) and 1.2 million total viewers. What do you think? Are you surprised by the strong performance of the ABC sitcoms? Will the numbers hold up next week? Do you think Nikita will keep rising? What were you watching last night?